England made another embarrassing exit from an international tournament this summer. This time at the European Under 21 Championships in Israel without gaining a single point. Thus fresh questions were raised about England’s youth development policies. The structure of the youth system has come under intense scrutiny in recent years, especially after the slow demise of the ‘golden generation,’ whose potential promised much but ultimately failed to deliver. There has been strong debate around the reasons for England’s continued failure at international level. The FA has begun to implement new coaching methods at grass roots level and along with the opening of the St Georges Park National Football Centre; it seems that we are finally heading in the right direction. However, the problems with England’s football culture are one and many, not just confined to coaching methods or centres for elite development. Most followers of the Premier League and English football in general, will remember the infamous ‘tapping-up’ affair that brought the game into disrepute on two separate occasions back in 2005 and 2006 respectively. During Jose Mourinho’s first spell in charge of Chelsea FC, the club caused controversy as they made illegal approaches to sign, then Arsenal left-back, Ashley Cole. All three were subsequently found guilty of misconduct, Chelsea were fined a meagre £300,000, with a suspended three point deduction, Cole was handed an individual fine of £100,000 and finally, Mourinho was fined £200,000 for his involvement in the debacle. However, the punishments handed out by The FA were a drop in the ocean considering the broader context of each party’s wealth. This was not only headline news in the world of football during the summer of 2005 but the subsequent fines given to those involved in the affair did not discourage neither Chelsea from undertaking similar practices a year later. Albeit, the second time on a slightly smaller, but arguably more important scale with the youth players of a football league club. In 2006, Chelsea successfully signed two up-and-coming youngsters from the academy of Leeds United, whilst attempting to lure a third youngster away from Elland Road at the same time. Michael Woods and Tom Taiwo both made the move to London from West Yorkshire in August 2006 at the tender age of 16 with fellow youngster, Danny Rose also approached by The Blues. The second affair sparked controversy once again within the football community, the national press and the Football Association. Leeds had effectively lost two of their brightest prospects to Chelsea for nothing more than a nominal fee. However, Leeds United owner, Ken Bates, lodged an official complaint against Chelsea with the Football League and the Premier League, in which he claimed the approaches made for their players were illegal. Bates had called for his former club to be deducted points, suspended from European competition and issued with a hefty fine. The Premier League and the Football Association launched a joint investigation into the allegations but it never went any further than that as Leeds accepted Chelsea’s out of court settlement. Taiwo and Woods cost Chelsea £5 million in the end. The statement also said that Chelsea would undertake an internal review of their policies and procedures when recruiting youth players. However, nothing else was said other than the matter was closed. And thus the whole incident was swept under the carpet and the two Leeds youngsters went to play for Chelsea. But that is not the end of the affair; the end is much closer to the present day. It has been 7 years since Taiwo and Woods signed for The Blues and both of their careers have been on dramatic declines since then. The promising midfield pairing failed to reach the expectations set at the Premier League club and both never started a single match for the first team. Taiwo was released by Chelsea in 2010 and signed for League One, Carlisle United before making the move to Scottish club Hibernian in 2012, where he remains today. 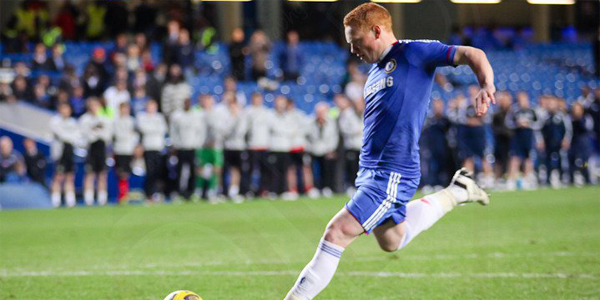 Despite being a reserve stalwart at Chelsea, Woods was released in 2011 and most recently signed for Non-League side, Harrogate Town after failed spells at Yeovil Town and Doncaster Rovers. Here we have a prime example of a major problem within England’s football culture. The Premier League clubs with all their financial power are allowed to poach the best young talent, be that English or foreign, with little difficulty or consequence. But when things don’t work out and young players don’t develop to the level expected, it is easy to discard them and move onto the next batch. It has been a similar story for another Leeds youngster, Ben Gordon who made the move to Chelsea in 2007, this time legally. Gordon has been farmed out on-loan to no more than five clubs up and down England and Scotland since he signed for Chelsea. This raises serious questions over Chelsea’s youth policy, why sign a youngster from a Football League club if all that is planned is a series of loan spells back to Football League clubs? Surely, Gordon would have been better off staying with Leeds in the Football League and cutting his teeth in the first team? For Tom Taiwo and Michael Woods, it was a harsh life lesson. Woods was unfortunate as circumstances dictated his career downfall, his development was going well as he made his first team debut as a substitute in Chelsea’s 6-1 FA Cup victory over Macclesfield Town in 2007. A succession of serious injuries including damaged knee ligaments and a dislocated ankle put Woods’ football career in doubt as he plummeted down the league pyramid. “Just to see how they go about their everyday business was an experience that not many people get. Whilst Woods felt at home, it was not the same for Tom Taiwo, who spoke to the Daily Mail in 2011 about the pressure of the experience. “In this country I don’t think there is a clear map. It gets serious too soon. If you’re good enough at 16, you’re good enough at 16, it doesn’t matter whether you signed for Middlesbrough at seven. Taiwo also believed that the academy system didn’t take into account a player’s personality or psychological mindset and it was purely based on football ability at a young age. This certainly rings true, as certain players will find it difficult to adapt to life away from home at such a young age. The best football coaching in the world cannot compensate for a poor psychological state. Leeds were going through a tough financial period in 2006 especially after their relegation form the Premier League. There were doubts over whether the club could pay player wages and even the possibility that the youth academy would cease to exist. That really puts the enormity of Woods and Taiwo’s decision to leave the club into perspective, the pressure on their young shoulders was massive. There is no doubt that the £5 million compensation for the pair will have helped Leeds enormously, but at what cost to the development of the individual player? As a nation, this is one of the many reasons why we have failed to produce the best young players we possibly can. Whilst there are some success stories of young players making the move from a smaller club to a Premier League side, there needs to be stricter rules governing the signing of young players, and more apt punishments enforced to prevent affairs like that of 2006. Stronger contingency plans should be put in place to help those players who don’t quite make it. An initiative such as the Glenn Hoddle Soccer Academy is a perfect example of this kind of plan. However, the questions still stands, what would the careers of Tom Taiwo and Michael Woods have had in store had they remained at Leeds to continue their development? We will never know, but the outcomes of the ‘tapping-up’ debacle and the careers of both players at Chelsea are plain to see. Too much, too young seems to be a common phrase in England’s youth football culture.